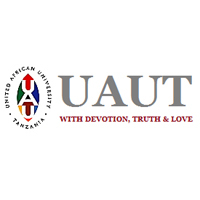 THE UNITED AFRICAN UNICERSITY OF TANZANIA (UAUT) is the private institute of higher education founded by Korea Church Mission Registered Trustees, with the objective of alleviating poverty and promotion of growth through raising Tanzanian Christian leaders who are equipped with excellence in wisdom, knowledge and Christianity virtues. The responsibility of the day to day running of UAUT shall be vested in the University Council with the Vice Chancellor as the main link between the Board of Trustees and University Council. UAUT obtained Certificate of Full Registration (CFR) from Tanzania Commission for Universities since 2012. We aim, in God’s direction, to equip students with Integrity and Excellence. Pursuing God’s Wisdom, Serving Communities and Cultivating Global Minds. Candidates for this post should be holders of PhD degree from recognized University with a working experience of at least 4 years as Professor in a recognized higher learning institution. He/she should have published at least 16 papers in referred journals. 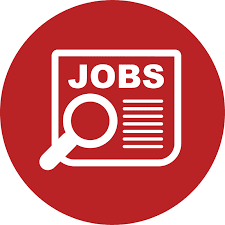 Provide the executive leadership in assisting the Vice Chancellor in the overall planning, organizing, and management of the academic programme areas. Candidates for this post should be holders of master degree from recognized University with a working experience of at least 4 years as an assistant lecturer in a recognized higher learning institutions. Setting the examination calendar etc. Master degree in Education Management, curriculum development and evaluation with added advantage of teaching experience 4 years in the recognized higher learning institutions. Candidates for this post should be holders of Master Degree or PhD degree in Library and Information Studies with relevant working experience of at least 4 years in a similar position. Selecting, developing, cataloging and classifying library resources. Answering readers' enquiries, promoting the library's resources to users.